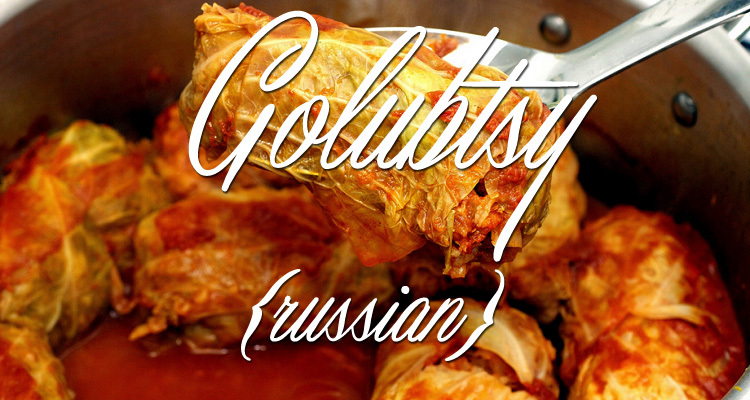 Golubtsy (Russian for “little pigeons”) actually have nothing to do with pigeons at all, but is simply the popular and hearty dish of cabbage rolls that has become popular in North America in the recent century. This dish doesn’t belong solely to Russia, though this is where this particular recipe originates from, but also has deep roots in much of Scandinavia, the Balkans, and Eastern Europe. The actual origin may eventually be traced back to the Middle East, as it’s been said to have been introduced in the 16th century to Europe from Turkey by Sweden’s King Karl XII. Cabbage rolls are also believed to have been a part of Jewish cuisine for the last 2000 years. European emigration to North America has brought the dish to our own continent, and it has become particularly popular in Canada, which is home to a large number of Polish and Ukrainian immigrants. Cabbage rolls are a staple in plenty of countries, such as Russia, Hungary, Poland, Sweden, Croatia, and Romania, and all tout their own subtle variations. Romanian cabbage rolls often include dill and smoked pork fat, while Polish cabbage rolls sometimes include barley instead of the usual rice. In Russia, lenivye golubtsy (lazy cabbage rolls) is also popular, consisting of putting chopped cabbage inside the meatballs, so there’s no need to wrap each one. The largest variation in this dish comes down to the sauce it’s cooked with. Eastern Europe favours either a tomato-based sauce or plain sour cream, while Scandinavia often serves the rolls with sweet and tart lingonberry jam. Cabbage rolls in their barest form consist of meatballs (commonly beef or pork) mixed with rice and wrapped in cabbage leaves, often cooked in a sauce. Adding root vegetables such as carrots and parsnips is common. The simple and hearty ingredients have made cabbage rolls the perfect staple for areas with long, dry winters and farmland ill-suited to more delicate and perishable produce. Russia, Poland, Ukraine, and Romania are all top producers of the hearty cabbage, which is incredibly nutritious, high in vitamins C and K, and is proven to lower cholesterol. It is also extremely low in calories. Root vegetables like carrots and parsnips are also highly nutritious, rich in multiple important vitamins and minerals. The health benefits of these vegetables, coupled with the protein of beef/pork and rice, makes it obvious why cabbage rolls have become such an important staple in areas where harsher climates may make staying healthy a little more taxing. Golubtsy is often served alongside potatoes, another sturdy vegetable, in various forms or simply on its own. This dish reserves a special place at the table on Christmas, New Years, and any other celebrations such as weddings and baptisms. Heat the oil in a sauté pan. (Use the large one you will cook the final dish in — a deep 12-inch sauté pan or pot — to save dishes.) Cook the onions until they are soft, add the carrot, celery and parsnip and sauté them for a couple extra minutes — until they are also soft. Season the mixture with salt and pepper, transfer it to a bowl and let it cool a bit. Mix in the meat, rice and tomato paste and season again with salt and pepper. Savoy cabbage is much easier to work with when making cabbage rolls than green cabbage is.